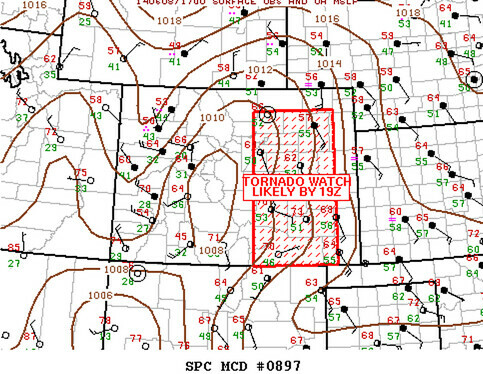 The Storm Prediction Center will likely issue a Tornado Watch for Denver and much of eastern Colorado for this afternoon. Storms are already starting to fire west of Denver, with coverage and intensity increasing through the early afternoon hours. The greatest threat with these storms will be heavy rain, hail, and damaging wind, though conditions will favor a few tornadoes with stronger embedded super cells during early initiation. 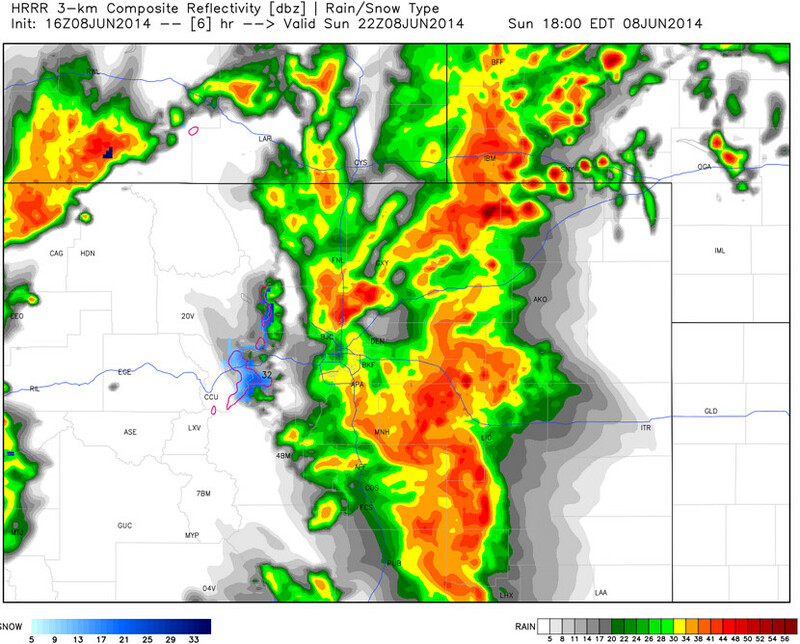 All of the high resolution models are showing strong storms pushing east off the Front Range this afternoon, likely forming a long squall line of storms that will increase damaging wind threats across the eastern plains by mid afternoon. We'll keep the chance of storms going into the evening for the metro area, as a secondary wave of storms could develop behind the initial push. Still expecting drier conditions for Monday, though temperatures will remain quite pleasant. For all the latest this afternoon, follow @weather5280 where we will be posting all the latest updates on any severe weather that does develop.